The Laguiole range of cutlery has been made by expert craftsman in the small French region around Thiers for over 150 years and is recognised all over the world as having an unparalleled quality, attention to detail, and durability. 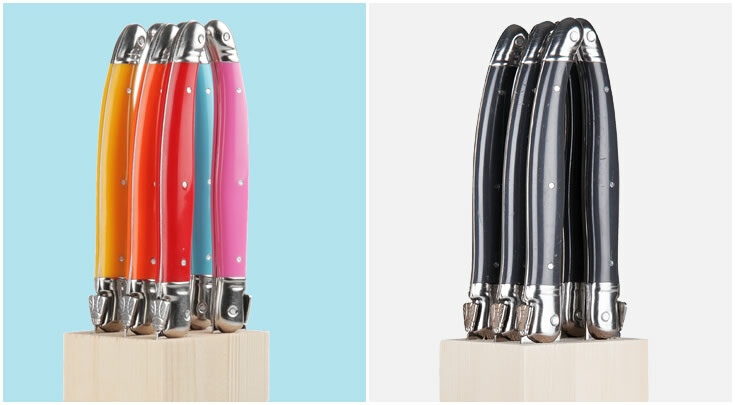 Yuppiechef stocks two great Laguiole artisan’s lines: André Verdier and Jean Dubost. The range offers a number attractive colours in traditional shapes and styles - imbued with French passion and a deep love for food. 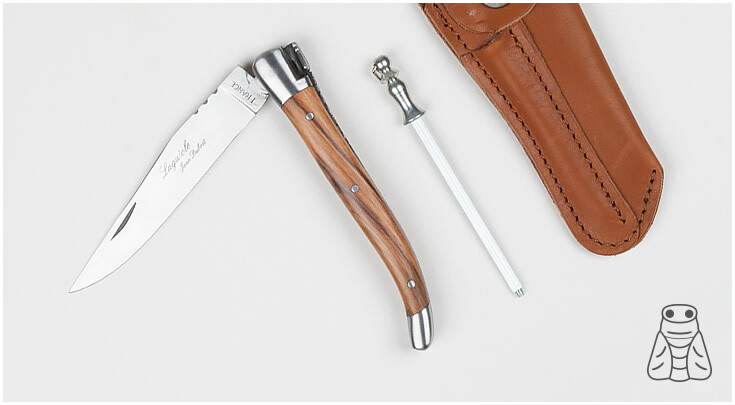 Laguiole (pronounced lah-yole) is a specific shape of a traditional knife common to the Thiers region of France. Today, only a handful of the original craftsmen's families still produce authentic Laguiole knives and cutlery. Yuppiechef stocks two of these authentic lines. Each line is from a different designer from the French region that produce authentic Laguiole-style knives and cutlery. André Verdier and Jean Dubost each puts their own flare on the style, with different finishes, materials and colours. Why buy Laguiole from Yuppiechef? 'Made in France' (meaning 50% or more of the product is made in France) or '100% made in France' etched into the product. Both André Verdier and Jean Dubost products are 100% Made in France. Products with the single word ‘France’ aren't genuine Laguiole – this doesn't denote the country of origin.